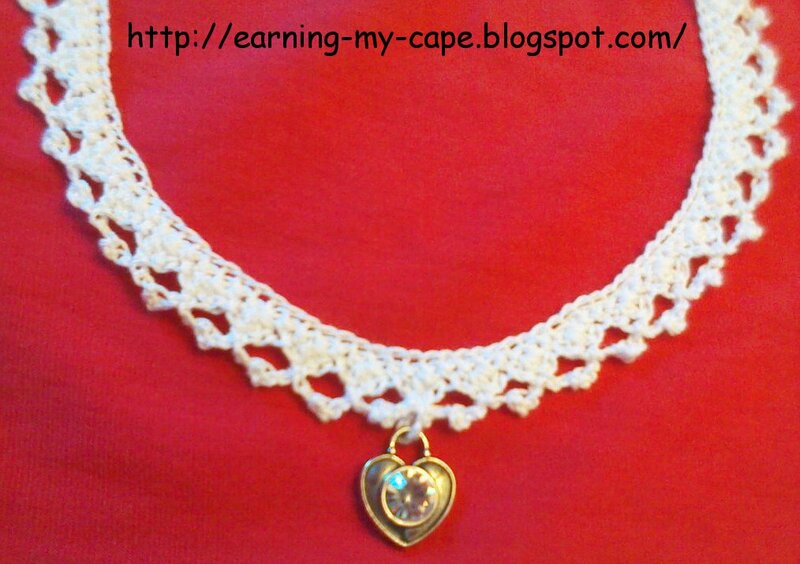 This pattern has been moved to my new crochet site. Please click the link below, for the pattern. this is really cute- I wouldn't have thought to make a crocheted necklace. Might have to try this for my daughter. Sarah, I just learned about making jewelry with crochet thread about a year ago. I love it! I have a crochet/bead necklace that I've been thinking about for a few days. I hope to turn that idea into an actual necklace soon. :-) I love that they are quick projects. This is beautiful! I will have to try this pattern. It could also make great edging. Thanks for linking up at Hookin On Hump Day!